Does anyone know if there is a complete dual master cylinder power brake conversion kit available for a 1956 Thunderbird 312 Automatic? I have one installed, you will need to move the battery tray closer to the fender. I converted to disk brakes and the dual master fit retaining the original heat shield (not in picture) without moving the original style battery on my 57, which could indeed be a bit different than the 56 in question. I used a 1967 Mustang drum brake master cylinder. Bolted right up with no issues. 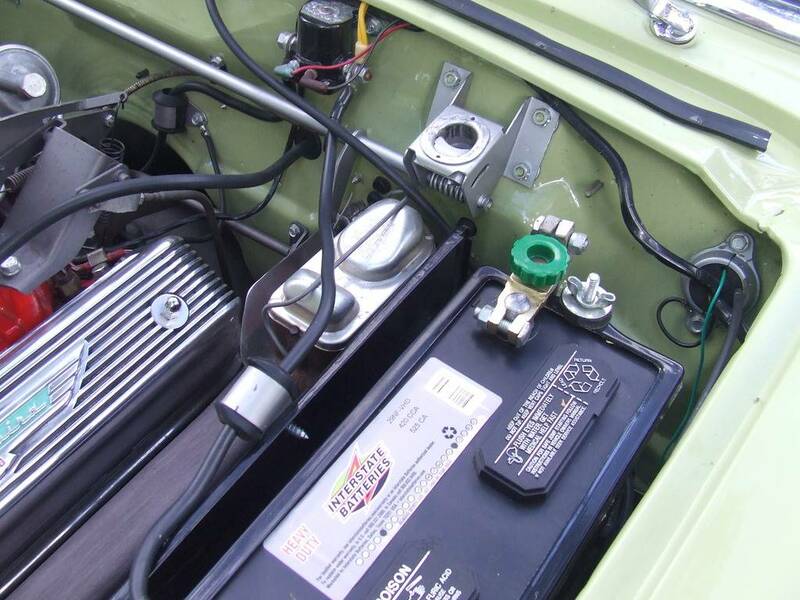 My car is a '55, so I installed a '57 battery tray and changed to a 12 volt battery. If you remove the battery heat shield, you can use hard brakes lines. I have experienced no battery problems. I am considering going to disks on the front soon. Different master cylinder, same installation.